Saab Somali TV Live Online streaming here broadcasts in Somali language to Somali audiences from around the world. Watch Saab Somali TV Live Online streaming here to your home to enjoy. Saab TV brings news, entertainment, Islamic and movies to you from its offices around the world. We are trying to bring you the best of Somali LIVE TV streaming 24 hours. In addition to that, we are adding more channels and improving the quality of the LIVE TV streaming on the go. 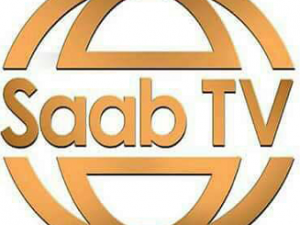 The Saab TV broadcasts in Somali language from Hargeisa. The station brings you the latest Somali news and entertainment programs from all over Somalia and the world. Finally, Saab TV together with Somali IPTV, is bringing you All Somali LIVE TV in one place. This is the number one spot for you to watch all Somali TV channels including Saab TV and many other TV channels we keep adding everyday.